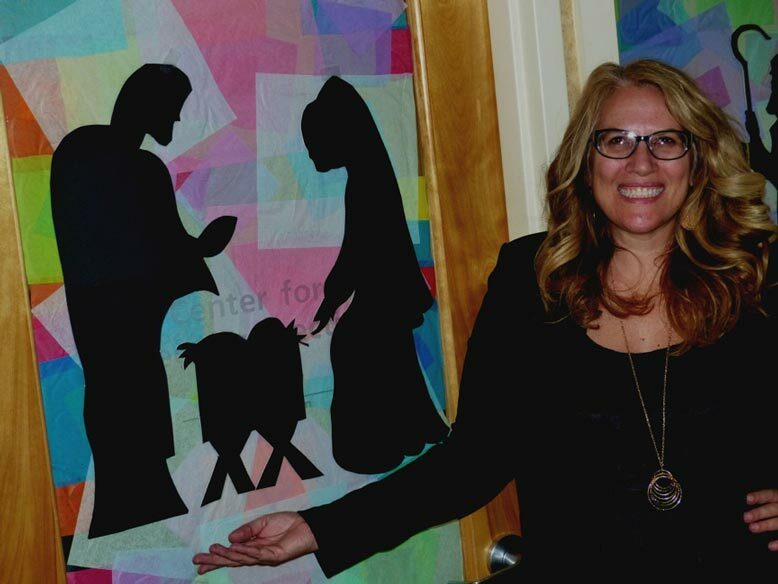 DeeAnna Muraski, an associate director and adjunct professor in the Center for Career Connections at Grace College, Winona Lake, Ind., is featured on the online news site, InkFreeNews, in the local arts column. Darla McCammon, of the Lakeland Art Association, talked with DeeAnna about the process for creating the colorful art. A portion of the article appears below. Click here to read the complete story. A completed piece using gridding created by Dee Anna Muraski of Grace College. WARSAW — Hope you all enjoyed the humor in the art trivia last week; but, now let’s get to the merriest of seasons. There is an artistic technique that bodes well for the holiday Christmas season. In fact, you can go visit a clever and colorful display exhibiting the technique in Indiana Hall on Grace College’s campus. Designed and created by DeeAnna Muraski an associate director and adjunct professor in the Center for Career Connections. You are welcome to go see the four beautiful windows that look like stained glass. “Yes. It is easy to explain but not as easy to do!” She smiled. After she explained it to me, I realized it was an old technique I was also familiar with; but, had never heard it referred to as gridding. She said the entire display ended up taking her seven hours to complete over a Saturday and Sunday. When I asked her about the supplies, and she said she paid for them herself, I realized this was a true labor of love.